The Segel/Song family is near and dear to us here at BLC Events, not only because they are close personal friends, but they were also our first official client for their oldest son’s Bar Mitzvah years ago when we decided to make a career out of throwing parties. 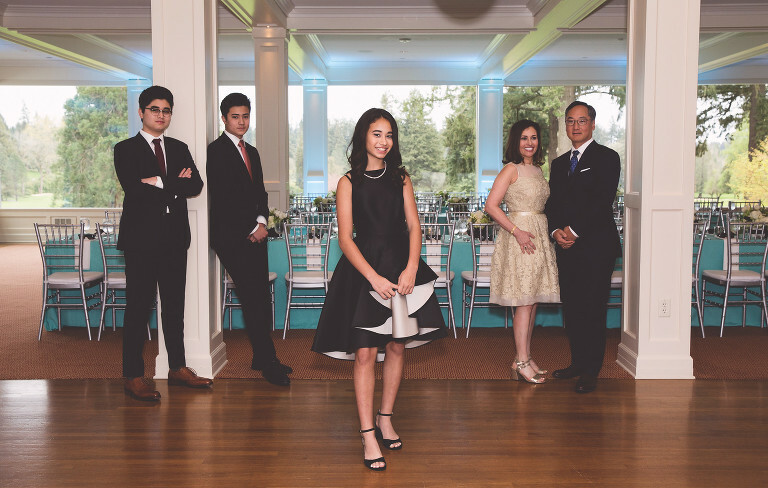 Serena is their youngest child and we feel like we’ve come full circle as Portland event planners now, having had the privilege of planning her Bat Mitzvah celebration. We pulled out all the stops for this young lady and put forth the best of what BLC Events has to offer – and it was a smashing success (if we do say so ourselves)! We originally started out with a different theme, but it wasn’t coming together the way we wanted, so we came up with a new idea and we are SO glad we did! 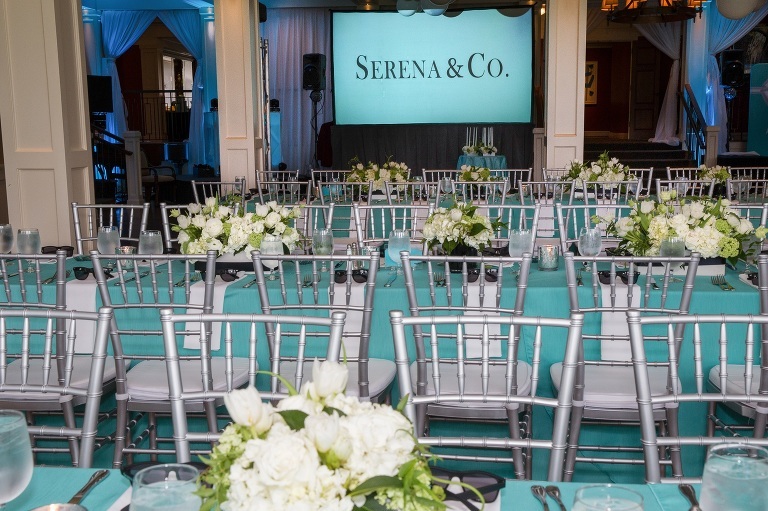 Even we were surprised by how many fabulous details we could pull together with our play on the famous jeweler for our theme, Serena & Co. Tiffany blue, black, silver and white set the visual feast for the party at Portland Golf Club. West Coast Drape sectioned off the entrances with white drapes and Tiffany blue uplighting everywhere. 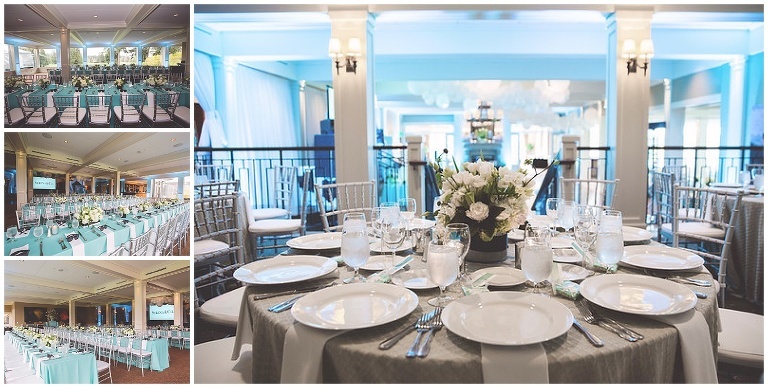 We had Event Co bring in the special silver chairs for a very elegant look at all the tables completed with Tiffany blue tablecloths on the kids’ tables and silver brocade for the adult rounds. And what’s a birthday party without balloons? Balloons on Broadway blanketed the dance floor ceiling with white orbs for Serena & Co. 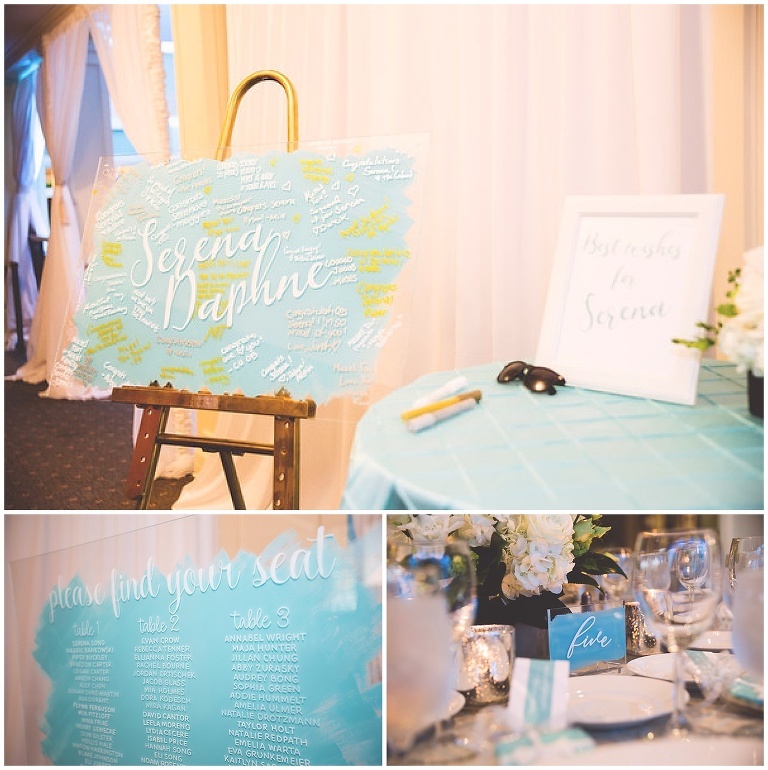 The Tiffany blue seating chart sign, table numbers and “guest book” art piece from Letters & Dust were amazing and unique. Roger from Haute Floral made the space bloom with all the gorgeous centerpieces and the arrangement on the gift table. Also…the favors. 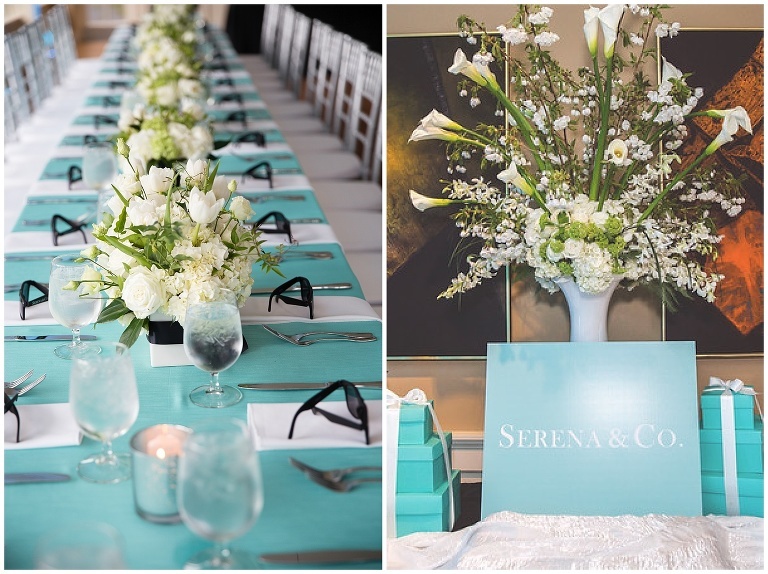 Quite possibly our favorites ever for an event – the custom Serena & Co. black sunglasses (in a nod to our muse, Audrey Hepburn in Breakfast at Tiffany’s) and the “little blue box” cookie favors at each place from Sugar Shapes. Once guests took in all the visuals, we had Stumptown photo set up with a Tiffany’s gift box background, blue Serena sparklers to quench thirst, and Roving Horse Henna for some variety. Craig Brown, our fantastic DJ from High Fidelity entertainment, got the program going with Serena’s grand entrance followed immediately by the Hora. After a delicious spread from Portland Golf Club, it was time for our favorite course – dessert! And these desserts were truly outstanding – cupcakes from Lightning Cupcake and outside in the tent, fresh Lil’ Orbits doughnuts from Donut Days . The best, however, were the custom “little blue box” cakes for each adult from Dream Cakes (who else?). It just doesn’t get any sweeter than this! We always love it when a Bat or Bar Mitzvah takes the time to prepare a candle lighting ceremony and Serena did not disappoint, thanking her family and friends with words and their own theme song for each candle. After the video montage, it was time for everyone to cut loose and dance the night away, complete with glow sticks – unbelievable party! One last take-away for the kids to remember Serena’s celebration – personalized, custom air-brush painted boxer shorts. Whew! We might need to sleep for a week to recover from this event! We loved every minute of it, though. Mazel Tov, Serena (& Co.)! « MAX’D OUT Bar Mitzvah!